Barbie is not for everybody. As soon as I heard the news, I knew I wanted to write this post. I wasn't sure exactly what I wanted to say, but I figured it would come to me if I gave it some thought. Mattel recently launched some new Barbie dolls with all new body types. There's a short one (for which I guess petite is the politically correct term), a tall one (tall is still okay, even though I prefer statuesque), and a curvy one. She's plump (definition: having a full, rounded shape). As a plump woman myself, I feel entitled to use that word to describe her. Be offended if you will. It's impossible to go back in time and know how my seven-year-old self would have felt about these new Barbies. I'm sure I would have wanted them, but that's because I never met a Barbie (nor Barbie accessory) I didn't want in the 80s. 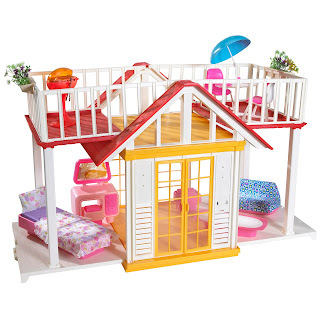 As a child, there was no toy or toy experience I loved more than Barbie. I am not, have never been, nor ever will be a "Barbie Hater." These are the ones who say that Barbie is a terrible role model for young girls, the ones who picked on her body (prior to the new shapes) saying her proportions were unrealistic, the ones who threw a fit because she said "Math was hard." As an intelligent girl who spent many a school night stressed to the max and crying at my parents kitchen table while battling my math homework, I was relieved to hear that Barbie understood my pain. Math is hard sometimes. So are split infinitives and participle phrases. And learning a language you've never spoken before. And writing a critical analysis of a Rembrandt etching. And getting up in front of hundreds of people and giving a speech you've written. And working full-time while getting your master's degree. And being a grown up. The issue is not whether things are hard, but whether we are equipped to do hard things. Life is filled with hard things. It's okay to say it. Saying something is hard doesn't mean you're weak. Being different is hard. No matter if your particular flavor of different is visible on the outside or just something you keep secret in your heart. I've written about clubs I'll never belong to and how sometimes we all just want to fit in somewhere. I think the new Barbie body shapes are less for the girls who are supposed to get the most joy from them and more for the rest of us, who want to feel better about the way things are now. I only know what it was like to be a little girl with chubby cheeks and frizzy hair in 1989, when the world was a different place. When mailing a letter or making a long distance call meant something. And if you sat down to a delicious meal, you simply said a prayer and ate it, without taking a single photo of the plate. When walking down the street to the gas station for a box of candy cigarettes, or maybe going to the Dairy Queen for a Dilly bar was enough to make you feel like you'd had a really great day. When my grandma would sit for hours and play Barbies with me. Like she didn't have anywhere else to be, or anyone else to talk to or text with (there was no texting, but you know what I mean). Like I was the only person in the world who mattered. And the world we created with my Barbie dolls was our own little world, where anything was possible. 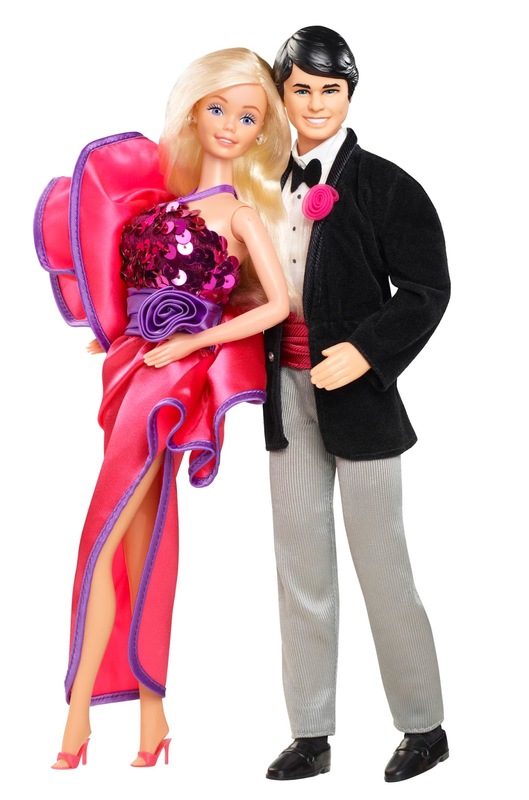 I read that the impetus for Mattel's new Barbie dolls came from their poor sales over the past few years. And how this move was supposed to win back the love of millennial moms who want their daughters to have, as Time Magazine calls it, "more empowering toys." 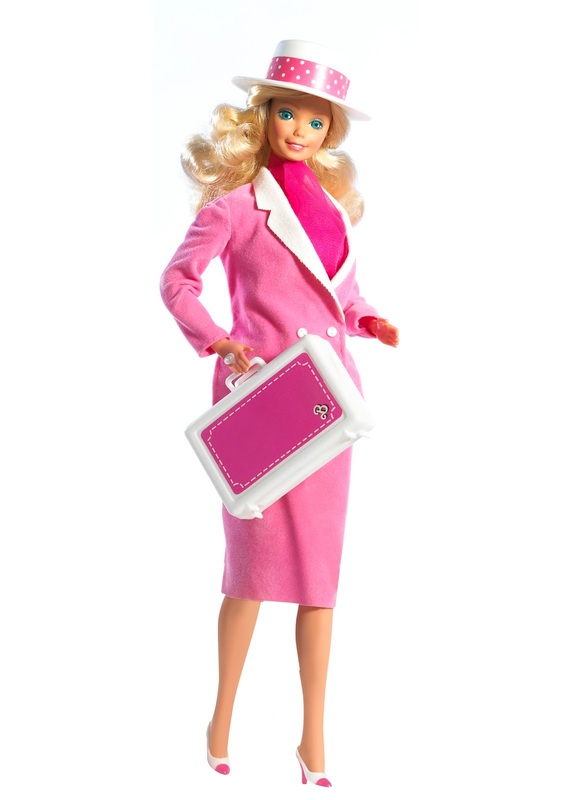 Again, I can only speak from my experience, but Barbie empowered me more than any other toy I ever had. And that includes two microscopes, a myriad of art supplies, and lots of other 'educational' playthings. Not only was my Barbie mayor of her town, but she also owned and operated a successful business. She was independently wealthy, but used her money only for good. She had a wonderful loving husband, Ken, who supported her emotionally and was always levelheaded even when she was the victim of a kidnapping plot (many of our Barbie storylines were inspired by the Guiding Light, which was my grandma's soap). And she had numerous meaningful friendships with other dolls who supported and celebrated her accomplishments, as she did for them. Of course I thought my Barbie was beautiful, with her golden hair and bright blue eyes. But I never, ever thought for one second that I was supposed to look like her. Nor did I ever look at her pointed toes, straight plastic arms and jointed behind and think that my own body didn't measure up. She was just a doll, after all. Have things gotten so mixed up that little girls look at everything around them for affirmation of what they should look like, be and do? And are we really so lacking of real live role models that a plastic doll would have earned such a key place in our culture? As I read back over those last couple of sentences, I realized that this isn't limited just to little girls, but I suppose big girls do it too. How much worse will things get as we continue to strive for impossible standards that were never real in the first place. I'm not even sure how little girls play with Barbies these days. Do they make up stories and act them out like I did 25 years ago? Or do they even care about any of that? 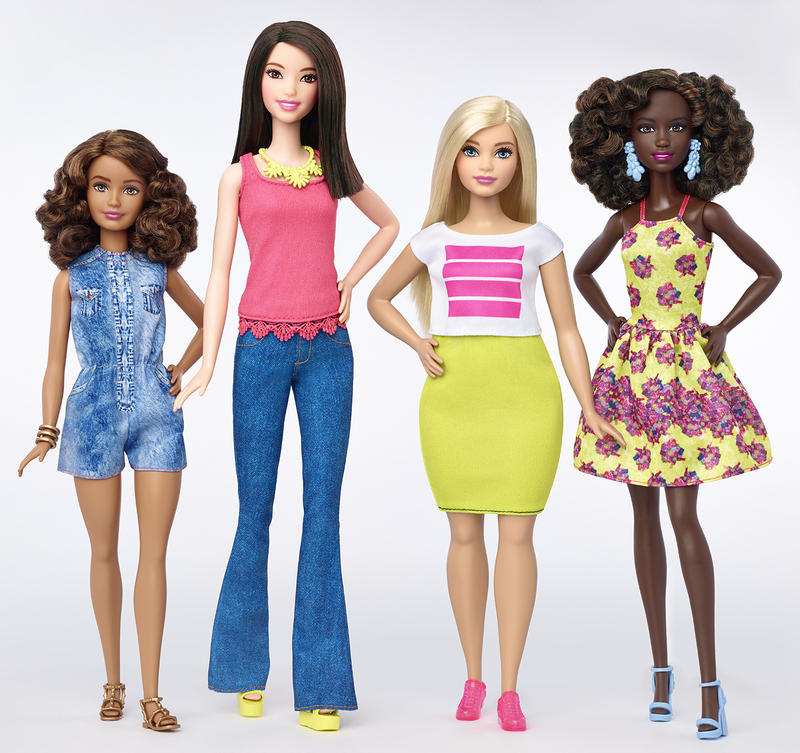 The one thing that does make me happy about the changes to Barbie are the new skin tones and hair styles. The first ever red-haired Barbie I saw was a special edition "Irish" lass, but for the most part my Barbies were all blonde. 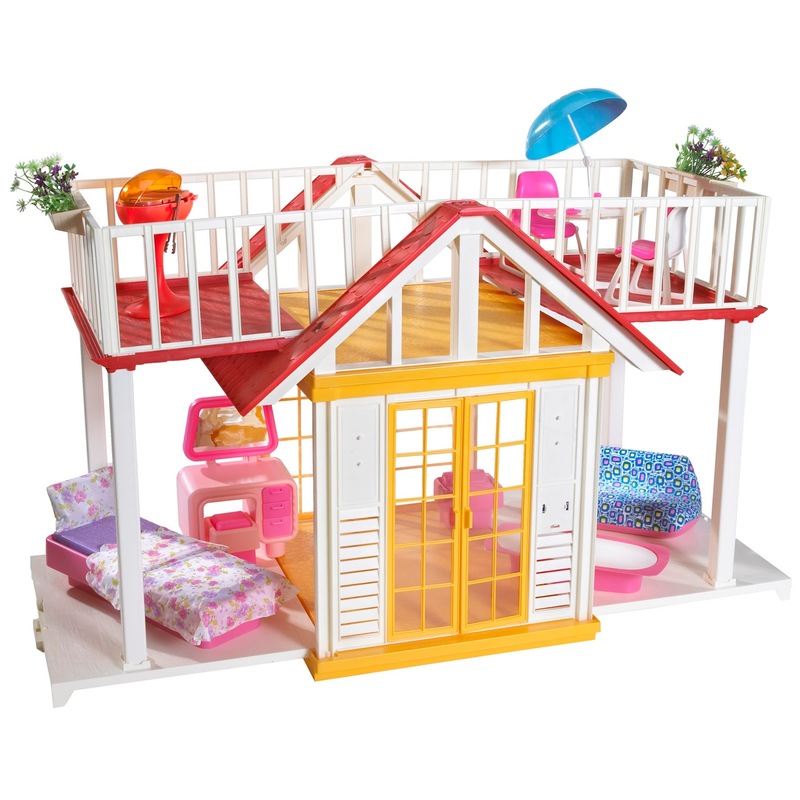 I'm glad that girls now can play with Barbies that have all different styles and looks. Growing up, I enjoyed playing with all my toys. I had a doctor kit, which I liked to lug around as I bandaged up stuffed animals. But I didn't want to be a doctor. And as I mentioned earlier, I had microscopes which I enjoyed using to look at slides of water samples collected in the backyard. But having a job as a scientist didn't interest me that much either. I didn't know it at the time, but I wanted to be a storyteller. A writer. Someone who creates other worlds, and for the characters in them, believes anything is possible. Maybe Barbie isn't for everyone. Maybe every little girl should be allowed to find the toys that bring them the most joy. For me, Barbie provided a way to express my creativity and let my imagination run wild as I created characters and story lines for them to live out. And for that, I'll always be grateful. 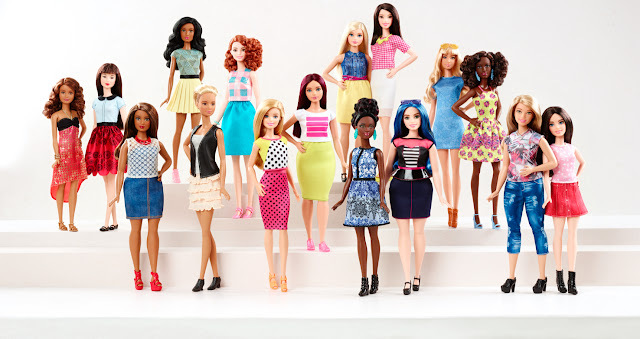 I don't care if Barbie is tall or short, skinny or fat, black or white, blonde or red-headed. Those aren't the things that determine how much you love people. 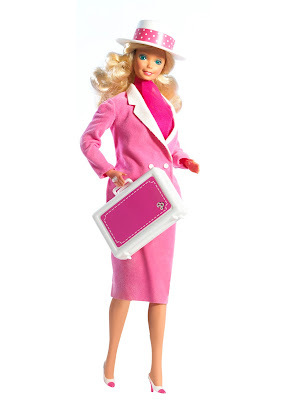 I love Barbie because of all that she made possible. Good memories, and a childhood where I felt treasured and loved. Of course it's really my family who are to thank, but Barbie was the vehicle for some of it. As I look at these faces, all these different Barbies with their new shapes and sizes, their new hair and skin tones, it makes me miss those simple childhood days of play and creating. These gals would have fit right in with my 1980s Barbie collection. I know my grandma and I would have enjoyed bringing them to life. Sweet tea is known as the table wine of the south. And there's nothing like a tall glass of cold iced tea on a hot summer day. 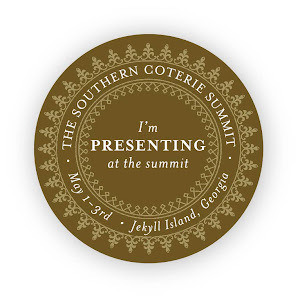 Of course, for true southerners (and tea aficionados) there's never a bad time to drink the stuff. But winter weather calls for something to warm you and for that, hot tea is great. Did you know January is National Hot Tea Month? In honor of this occasion, I'm sharing some new uses for tea besides just for drinking, plus a favorite recipe for Tennessee Sunshine Punch, a delicious hot tea. Check them out! 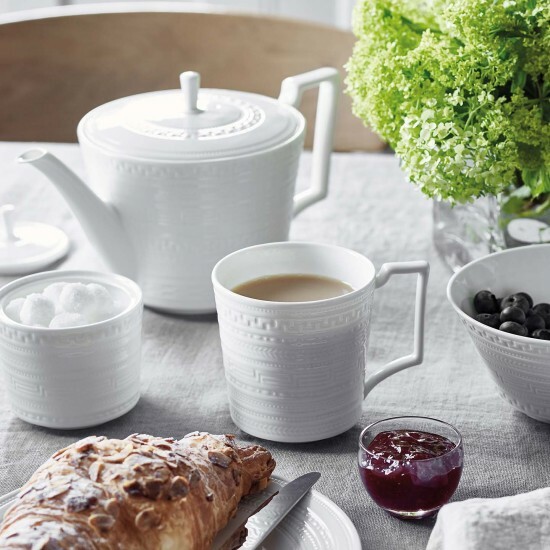 Black tea (the type most commonly used for brewed iced & sweet tea) can be used to cover up scratches on wood furniture. Herbals and green tea won't work for this because they don't have the dark, rich color. Put a tea bag into a mug and pour 2 tablespoons of hot water over it. Let it steep for at least a couple of minutes, the longer the darker it will be. Dip a cotton ball or swab into the tea and dab it onto the scratches. Make sure the color seeps down into the raw wood. Quickly wipe away any excess moisture because this can damage the surrounding areas. You may have to repeat this process to get the desired effect. 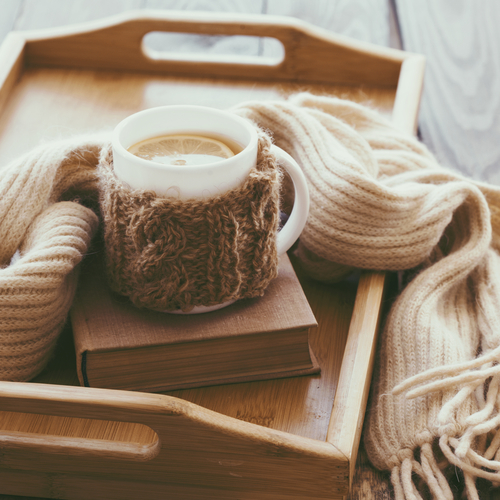 Not only does black tea work to decrease the appearance of scratches on your wooden furniture, it can also help make your windows and glass sparkle! Tannic acid in black tea serves as a cleaning agent which dissolves grime and smudges. To make your own tea window cleaner, you'll need 2-3 tea bags and 8 ounces of boiling water. Brew your tea and let it steep. Let it sit and cool completely before putting it in a spray bottle. 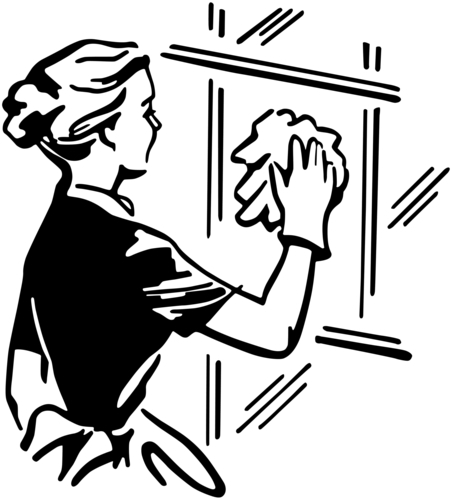 Spray onto your windows and mirrors and wipe off with a soft cloth (just as you would with any other cleaner). If you're accustomed to using harsh chemicals around the house, using something like tea to clean windows may not have the desired effect. But this non-toxic method is still very effective and is definitely safer for your family than something with a lot of ingredients you can't pronounce. Most popular mouthwash brands contain chemicals and ingredients that aren't completely natural. But did you know you can create your own healthy mouthwash with plain old tea? Peppermint has menthol, which is a strong cleansing agent known to kill bacteria. 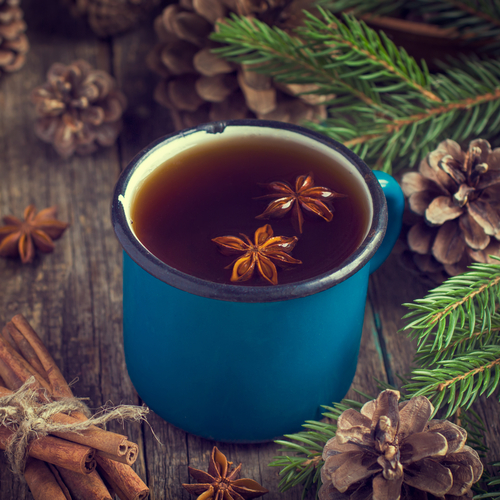 Instead of opting for a chemical-filled artificial peppermint flavor, why not go with some natural tea? To make your own peppermint mouthwash, brew up a pot of peppermint tea. Then let it cool and store it in a bottle in your fridge. Swish it around your mouth as needed. And if you want to drink some, enjoy! Nobody wants bags under her eyes, but in this case, tea bags might be just what you need! To give yourself a relaxing treatment, make up a batch of this ginger tea and let the relaxation begin. Place your tea bags into a mug and pour hot water over them. Add grated ginger and let this mixture steep for about five minutes. Let the tea cool and squeeze out the tea bags. Place them in a container in the fridge or freezer depending on how cold you'd like them to be. Then, when ready take them out and place them over your eyes (both on the lids and underneath). In a medium saucepan, bring water to a boil. Turn off heat; add tea bags, cloves and cinnamon sticks. Cover and steep for 5 minutes. Remove tea bags. Stir in the juices and brown sugar; heat through. Remove spices. Garnish with clove-studded orange slices if desired. Enjoy!